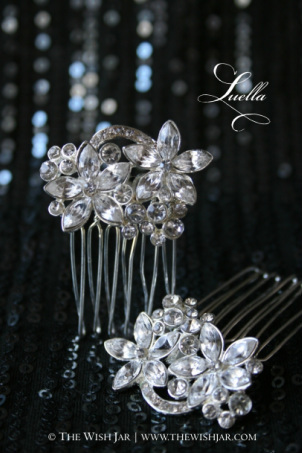 These combs were designed for a client having a garden wedding. They are very feminine and romantic while still being perfect to wear with a simple, modern gown. They are available attached to a birdcage veil as well.